It would be inefficient if inside or outside counsel attempted to do all discovery tasks themselves. Yet, if something goes wrong, all counsel may be held accountable. As described in Bad Habit #4: Not Documenting the Whole Process, the standard for counsel’s own conduct and supervision of others is whether counsel made a reasonable inquiry into circumstances and reasonable efforts to comply with obligations. In other words, you must be able to show that you’ve kicked the tires. Do you need to issue and track the status of litigation holds, without specialized software to help with the task? Don’t fret! 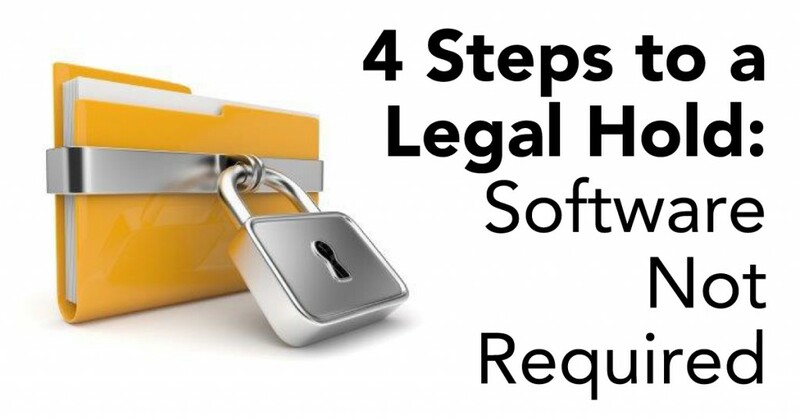 Legal holds can be done with email, hyperlinks and a spreadsheet. While the details may vary according to the litigation and organization, there are key elements of a legal hold that are universal. Judges have been using a wide variety of remedies and sanctions in discovery cases. Beyond the usual orders of attorney fees, fines, adverse inferences, and limitations on use of evidence, some judges have been especially creative. Educational remedies, for example, have included orders for payments to support e-discovery programs, and orders to attend such programs. The District of Nevada has held that a party improperly used predictive coding, and should produce all documents containing keyword hits, in Progressive Cas. Ins. Co. v. Delaney, No. 2:11-cv-00678-LRH-PAL (July 18, 2014) (amending Order of May 19, 2014). Although the court rejected use of predictive coding in this case, the lesson for future litigants is simply this: Don’t agree to a discovery protocol if you have not made efforts to understand the potential burdens associated with it. Do you have a great memory? Unless you can remember what you had for breakfast every day for the last six months, you need to document each and every decision and action as you move along your discovery journey towards compliance. When something goes wrong in discovery, attorneys who do not carefully document their process frequently rely on emails and notes jotted into a legal pad to piece together the story of who did what and why.